On Saturday, March 28, will be “The Diversity of the Sta. Rita Hills AVA: It’s Not All Pinot & Chardonnay,” featuring Dan Kessler of Kessler-Haak, Chad Melville from SamSARA Wine Co. and Peter Work from Ampelos Cellars. 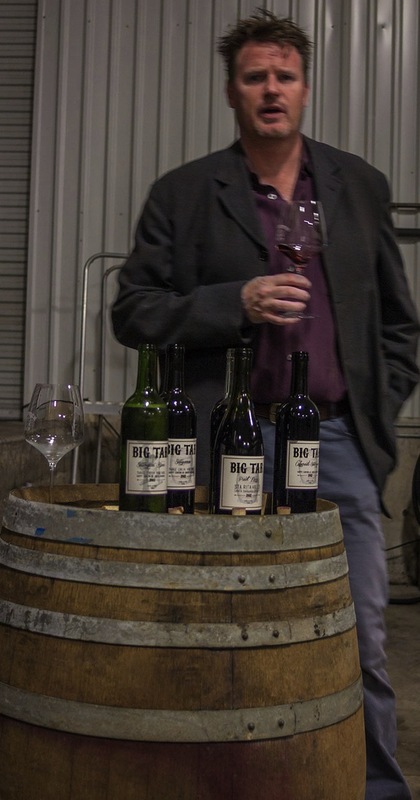 Lee Tomkow photo/Aaron Watty’s label is Big Tar Wines, and this year’s Garagiste Festival: Southern Exposure will be his first. “The amount of people and press that the group provides let the small wineries get together and ‘show off.’ There are not many opportunities to pour like this.” Like most of the winemaking participants at Garagiste, Watty doesn’t have a tasting room. Vinous announced Tuesday that it will acquire Stephen Tanzer’s International Wine Cellar (IWC). IWC, founded in 1985 by editor and publisher Stephen Tanzer, is the oldest independent, American-owned wine journal. Tanzer will join Antonio Galloni, Vinous’ CEO and founder, as a partner of Vinous, and will be actively involved as editor-in-chief and a lead critic. According to a news release from http://vinousmedia.com, Vinous will add IWC’s entire archive to its library of content, making the combined site home to more than 180,000 professional wine reviews and more than 1,000 articles. In an email to his subscribers, Tanzer said he believes Galloni and his team at Vinous “will quickly become the single most informative website for wine lovers in the U.S. and around the world. 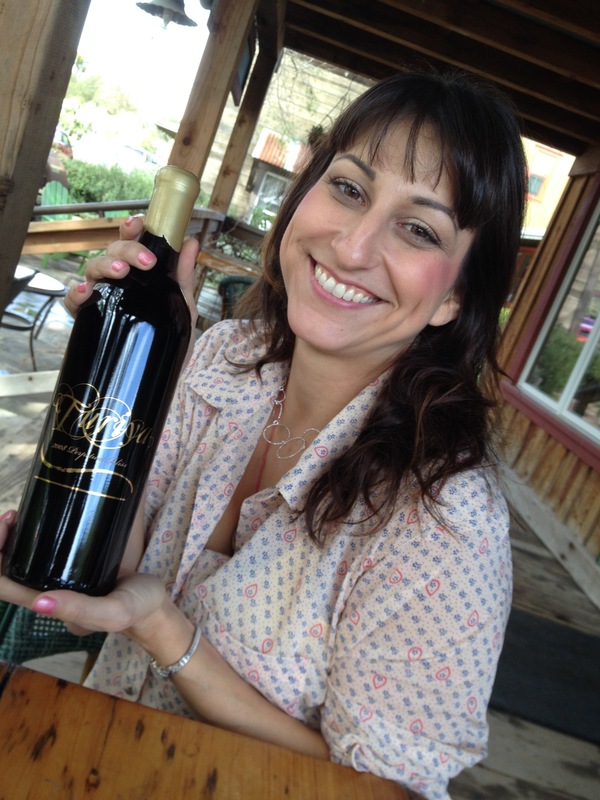 “Best of all, Antonio clearly shares my focus on providing high-quality, totally independent wine criticism,” he added. “I am looking forward to partnering with Antonio to bring our combined subscribers the most comprehensive, informative, independent wine web site on the market,” Tanzer said. 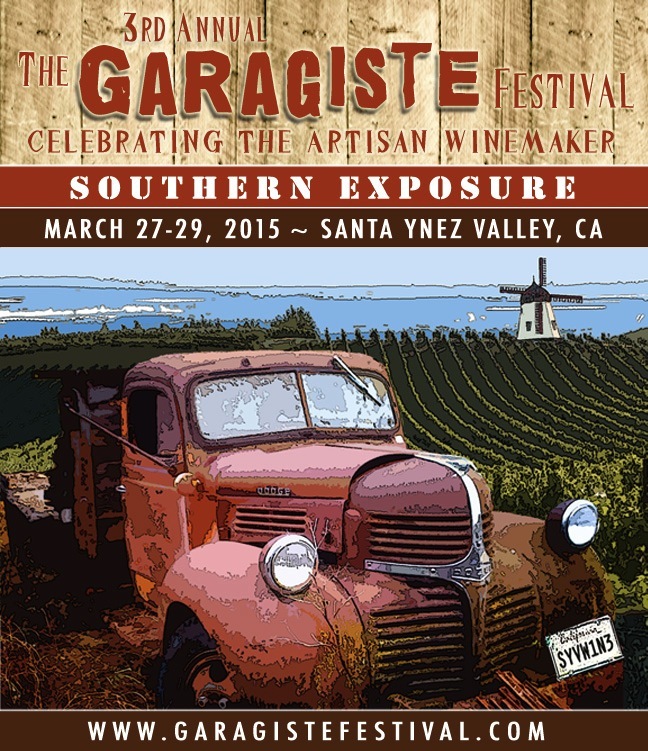 On the heels of another sell-out event in Paso Robles, Garagiste Events, producers of The Garagiste Festivals, have announced the return of their popular Southern Exposure festival in to Veterans’ Memorial Hall in Solvang, March 27 to 29, 2015. Joe Mozdzen photos/Participants in the Saturday morning seminars sampled several wines. More than 1,000 wine enthusiasts and winemakers participated in the four-day festival in Paso Robles, Nov. 6 through 9, which lived up to its description by the Los Angeles Times as not only “one of the premier wine events of the year,” but also one of “wine’s best parties,” organizers said. 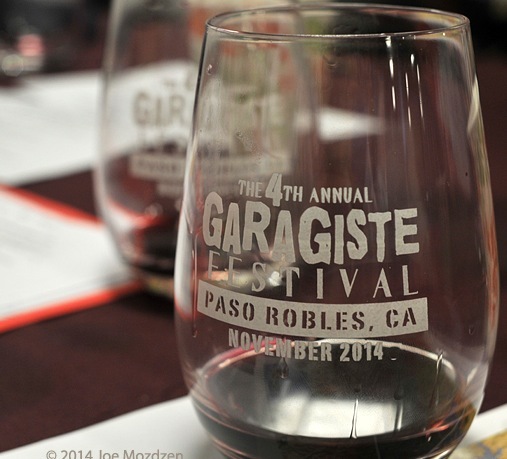 “The sold-out 2014 Paso Robles Garagiste Festival is further proof that the American garagiste movement is one of the hottest trends in the wine industry, and that Paso Robles is its heart and soul,” said Garagiste Festival co-founder Doug Minnick. A new highlight this year was the festival’s first (but not last) “Big Blend Shootout,” a friendly competition in which more than 20 winemakers blind-tasted each other’s wines and picked out the best of the best. The winner was Bret Urness from Levo Wines, for his blend of grenache, syrah, petite syrah and viognier. 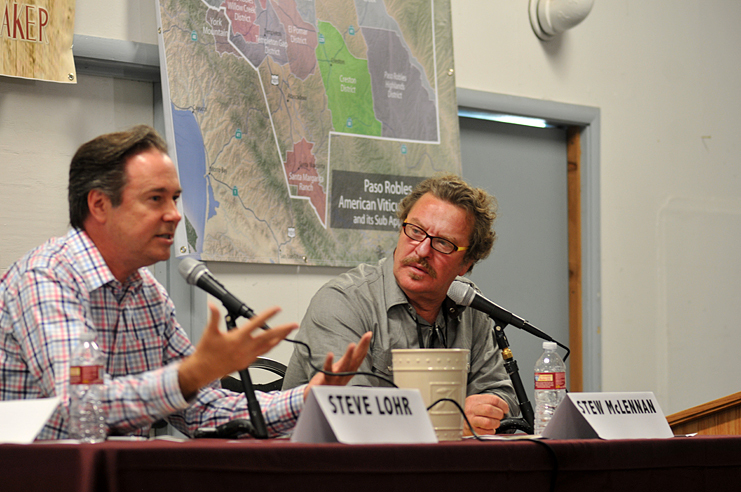 “It was a great night that epitomized the camaraderie among winemakers in Paso Robles, and the fact that, while winemaking is a lot of work, it is also a lot of fun, especially after the long harvest,” said co-founder Stewart McLennan. 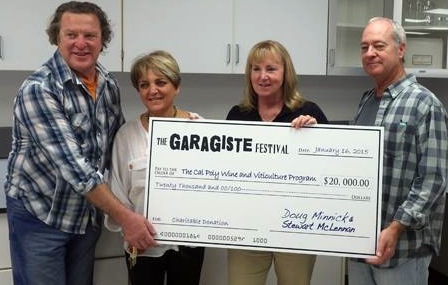 The nonprofit Garagiste Festivals benefit the Cal Poly Wine and Viticulture program. For more information on The Garagiste Festivals, visit http://garagistefestival.com. The Paso Robles Wine Country Alliance (PRVCA), in conjunction with the Cambria Tourism Board, San Simeon Tourism Board and Wine Coast Country, has formed a partnership to bring a Paso Robles wine event to the northern coast of San Luis Obispo County. On Feb. 21, the first Paso BlendFest on the Coast will showcase the best characteristics of each partner, combining the scenic beauty of the coast with Paso Robles Wine Country. 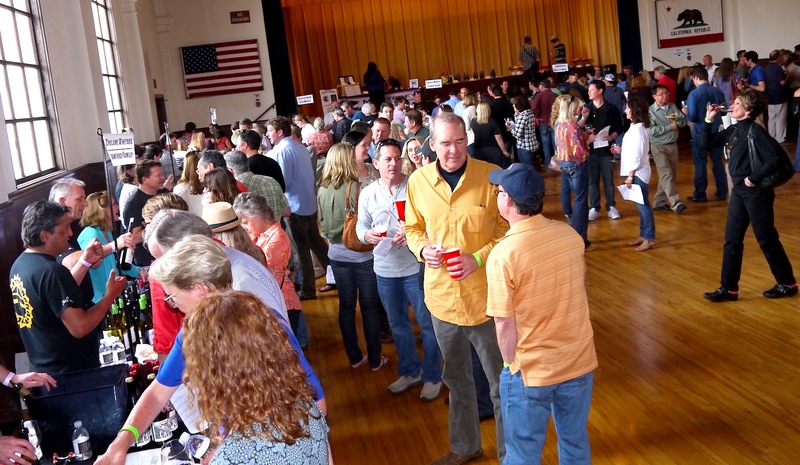 BlendFest will invite visitors to San Simeon and Cambria to enjoy 25 to 30 of Paso Robles’ renowned wineries, each featuring two distinct blends. At the Cavalier Resort in San Simeon, guests will be able to enjoy spectacular wines and stunning coastal views. “As evidenced by Paso’s recent honor as Wine Region of the Year by Wine Enthusiast Magazine, the region has become known for rule breaking, unconventional blends,” said Jennifer Porter, executive director of the Paso Robles Wine Country Alliance. 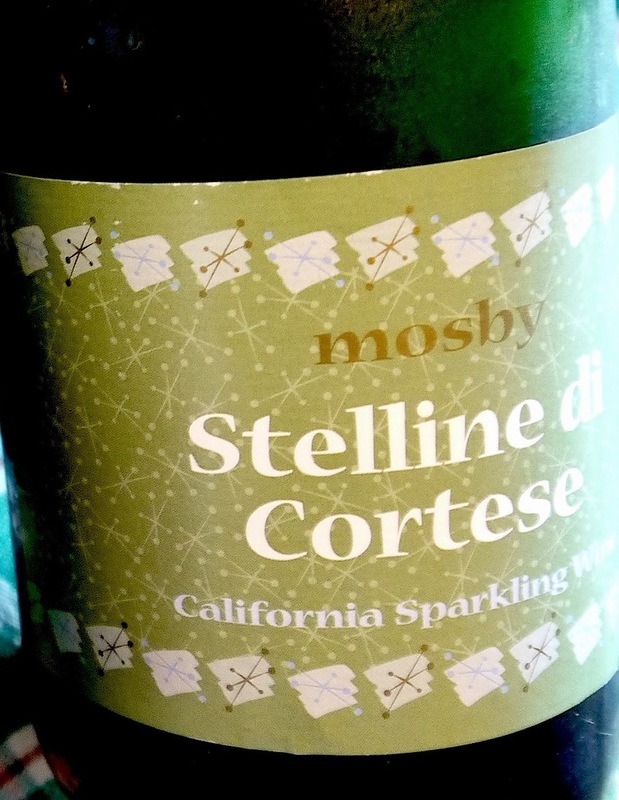 This is another in my ongoing series about our region’s smallest winemakers. They may not yet have tasting rooms, and their case production is easily less than 1,000 cases. But hunt them down, either via phone, email or web: You can thank me later. 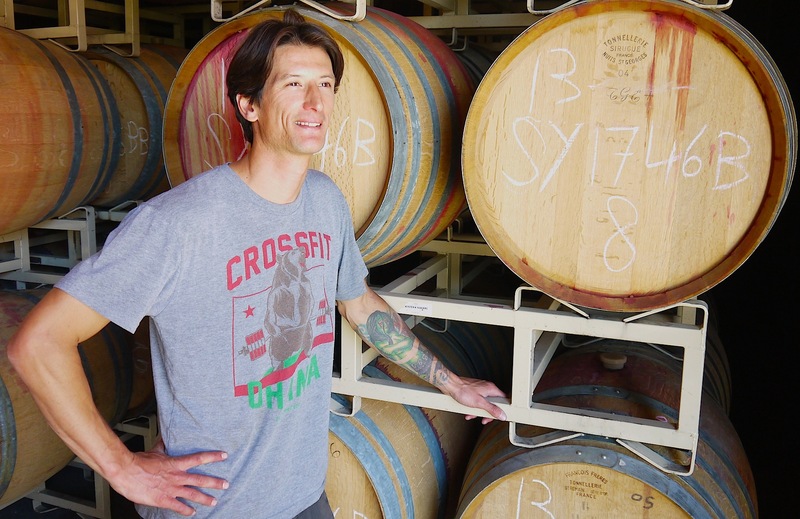 Lompoc native and avid surfer Kyle Knapp was working as a butcher in the meat department of Los Olivos Grocery when the winemaking bug first bit. “I worked with high-end meats and cheeses, and (the chance to produce) quality wine seemed like a natural progression,” he recalled. Knapp’s first harvest was in 2005, at nearby Beckmen Vineyards. Like others who thrive on the arduous but rewarding experience, Knapp was hooked. Immediately following that harvest, he traveled to Australia for his second round, and enjoyed some surfing there when he was finished. 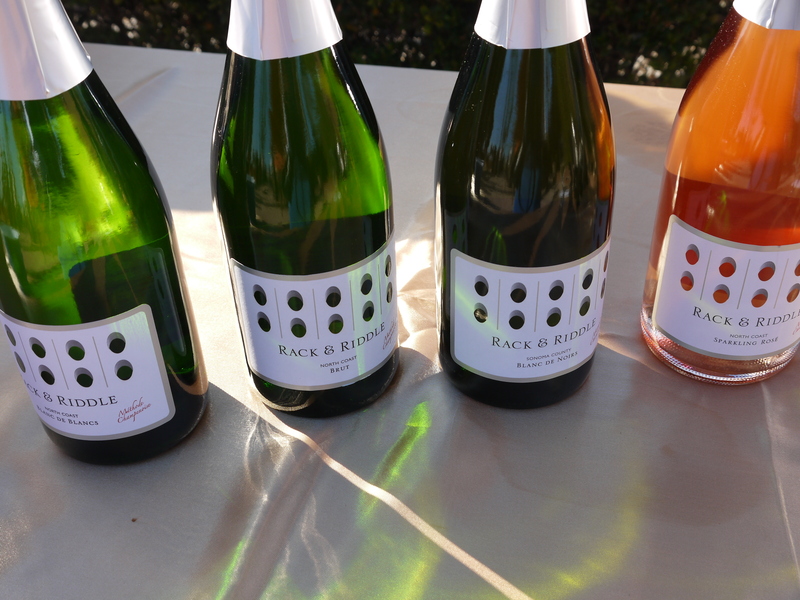 Despite having wines from 2007, Knapp calls 2010 his “coming out” — the year when he put travel aside and began to focus on making wine. 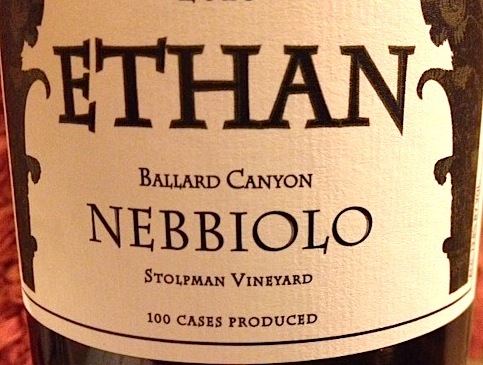 In January 2011, he began working alongside winemaker Mikael Sigouin as assistant winemaker at Beckmen. The song is about the press gangs of the British Navy in the 18th and early 19th centuries — sailors would round up young men, sometimes from bars, and force them to work on navy ships, he said. Impressment, or the press gang, refers to the act of taking men by force and without notice. “I like the play on words: We press grapes to get wine,” Knapp said. Since the inception of Press Gang Cellars, Knapp has focused his efforts on syrah, grenache and roussane, but in 2013 also produced some tempranillo and sangiovese, he said. 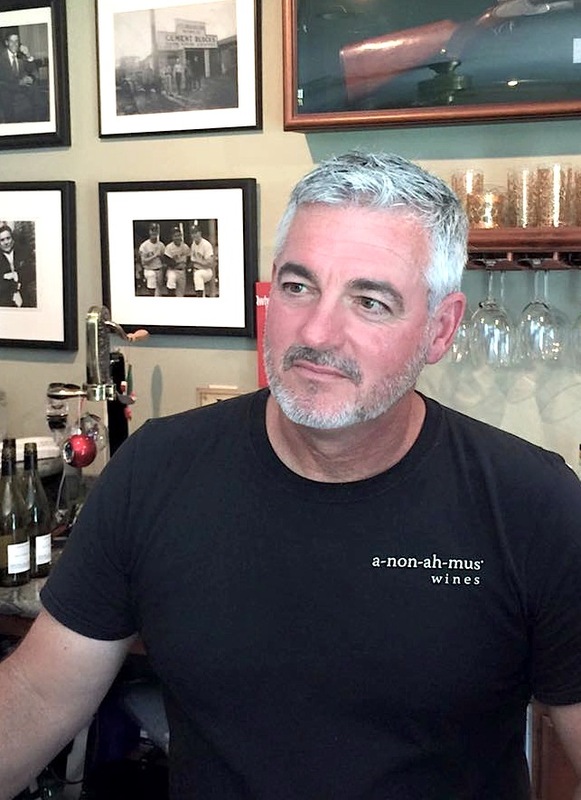 Knapp sources fruit primarily from the Santa Ynez Valley and Ballard Canyon, and tends to pick “when flavor is optimal.” His methodology includes a cold soak and letting native yeast kick start the fermentation process. 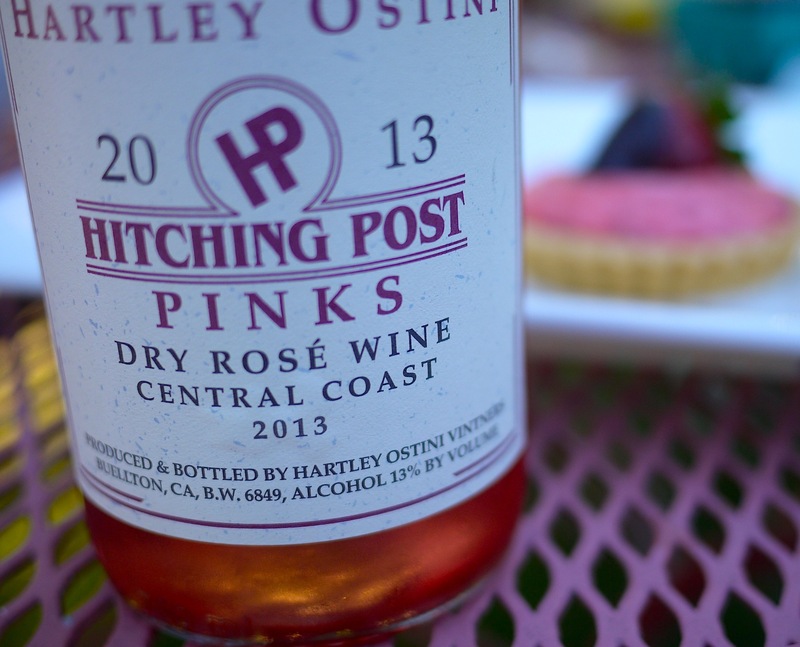 His current rosé, named for his wife, Savanna Rhea, combines partial oak and stainless steel, and enjoyed a two-day cold soak before being pressed into a bottle of Press Gang Cellars. Press Gang Cellars has grown to about 300 cases; Knapp says his goal is a maximum of 2,000 per year. 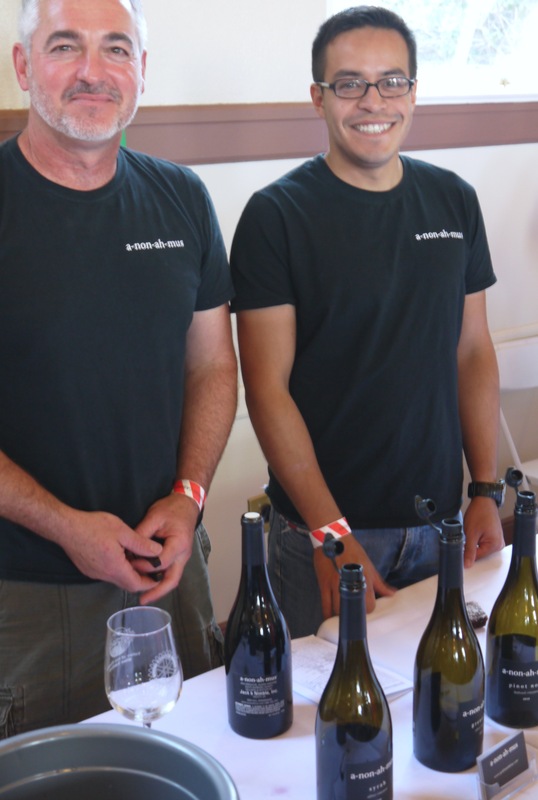 I met Knapp through mutual friends several years back, but only tried his wines during the 2013 Garagiste: Southern Exposure tasting in Solvang. 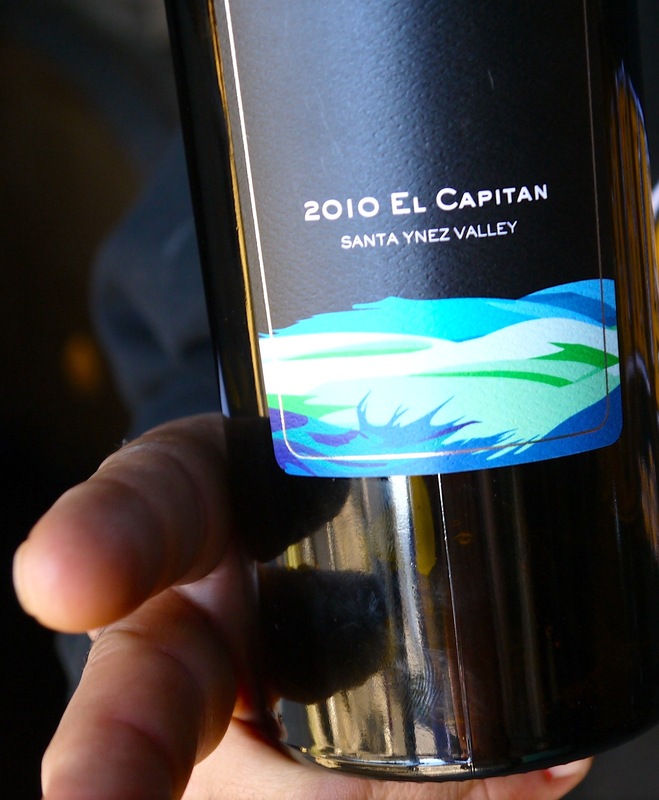 With Savanna at his side, Knapp poured his syrah, Grenache and rosé to acclaim. Knapp told me he enjoys participating in the Garagiste events, which highlight uber tiny producers, but realizes he needs a tasting room for increased follow through with consumers. Such a site — as well as a wine club — is in the works within the next year, definitely in Lompoc, he said. Knapp resides in Lompoc with Savanna and their son Milo, who is 9 months old.